What’s new at WDW since 2015? "Hey Dad! My family and I are visiting in November 2018. We are Disney Vacation Club members but bank our points so that we can stay in a big suite our whole trip. Our last trip was a November 2015. There of been a lot of changes since the last time we visited. We are particularly interested in Pandora and anything Star Wars related. We also have not visited the new Frozen themed areas. We are going the week after Thanksgiving and I was just wondering if you had any suggestions on how to tackle all of this. Including new dining experiences..... I have been researching this online but I’m getting overwhelmed with all of the different sites. I generally come to your site as the final word and needed some guidance. We are getting ready to begin booking our Dining at the end of this month yet the hours have not been posted for each park. Erin, In the immortal words of the Little River Band - "Hang on. Help is on it's way"
There have been a lot of changes over the last three years and a whole lot more changes will be made in the next 3 years as Disney gets ready for the 50th birthday of Walt Disney World. Since you mentioned it, let's start with the Frozen area. Frozen Ever After is a very popular new ride that replaced Malestrom in the Norway Pavilion. It's has a lot of scenes from the movie. There's also an area in Norway where you can meet Elsa and Anna. It's called Royal Sommerhus. Lines, as you can imagine get very long for these new attractions. We'll talk about strategies in a minute. Soarin' has gotten a new movie and a third theater (which helps with the crowds). Test Track and Mission Space have both been updated. Oh and the Universe of Energy is undergoing a total update to become a Guardians of the Galaxy roller coaster. Disney's Hollywood Studios (DHS) is probably the park that has changed the most, and Star Wars is the biggest star. On December 4th, 2015, Star Wars Launch Bay opened at DHS. They took the old Animation building and turned it into Star Wars Central. Launch Bay includes character greeting areas (currently BB8, Kylo Ren, and Chewbacca), a theater where a behind the scenes movie runs, and a huge memorabilia and gift shop area. It's a lot of fun. Storm Troopers roam the park and pose for pictures. Several times a day, the First Order "marches" through the park and puts on a show on the stage where the hat used to be. In the evenings there is a Star Wars fireworks show, and of course you still have Star Tours (which has some new updated adventures) and Jedi Training Academy are still going strong. 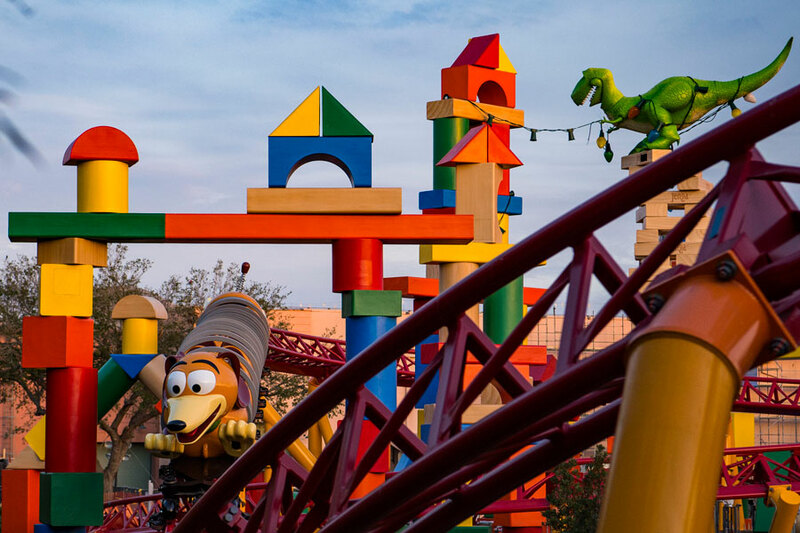 Opening this summer at DHS is Toy Story Land. It's going to be pretty cool. It has 2 new attractions. Slinky Dog Dash and Alien Swirling Saucers. You won't want to miss that. Not a lot has changed in the Magic Kingdom over the last three years. Pirates and Hall of Presidents just went through upgrades, but no new rides have been added. Thanks Pigment I almost did. Wishes has been replaced. The new nighttime fireworks show is called Happily Ever After. I like it a lot. It may be better than Wishes. And bad news, there is no longer a nighttime parade at the Magic Kingdom. Very sad! Animal Kingdom has gotten a pretty big update too. As you mentioned Pandora: The World of Avatar opened last year. It's just stunning. The rides, Na vi River Journey and Flight of Passage are not to be missed. Also last year Rivers of Light finally opened bringing night time entertainment to Animal Kingdom. Animal Kingdom after dark is pretty special. Talk about new stuff... Downtown Disney is no more and Disney Springs has taken it's place. You mentioned new dining options, there are a whole bunch in Disney Springs. Sprinkles Cupcakes, The Boathouse (with Ampicars), Blaze Pizza, Chef Art Smith's Homecomin', Morimoto's, and a whole lot more. You won't recognize the place. There are now over 150 restaurants, shops and entertainment options at Disney Springs. It's a really happening place. They've added a whole new section, bridges, live entertainment. It's really cool. You'll want to plan some time over there. Unfortunately Disney is making it really hard to figure out hours in advance of making ADR's. Disney has been updating the hours on a daily basis right at 180 days before arrival. There's no good way to plan based on park hours. Touringplans predicts the hours, but until Disney puts them out they aren't final. You may have to just go ahead and make the ADR's you want when you want, but Touringplans will help. The bottom line is it's pretty amazing all the changes that have come in the last few years and are planned over the next few years. That's a good thing. It keeps WDW fresh and exciting and boy has it been exciting. I hope you have a great trip. Let me know if there's something else I can do.